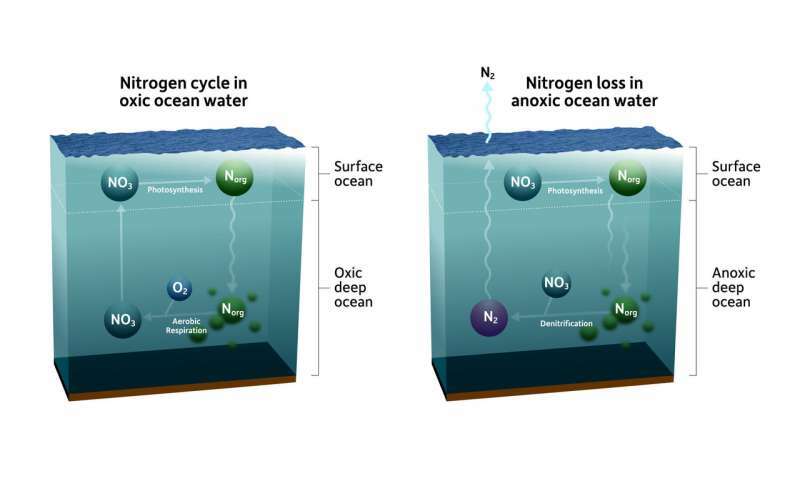 Nitrogen is essential to marine life and cycles throughout the ocean in a delicately balanced system. Living organisms—especially marine plants called phytoplankton—require nitrogen in processes such as photosynthesis. In turn, phytoplankton growth takes up carbon dioxide from the atmosphere and helps regulate global climate. 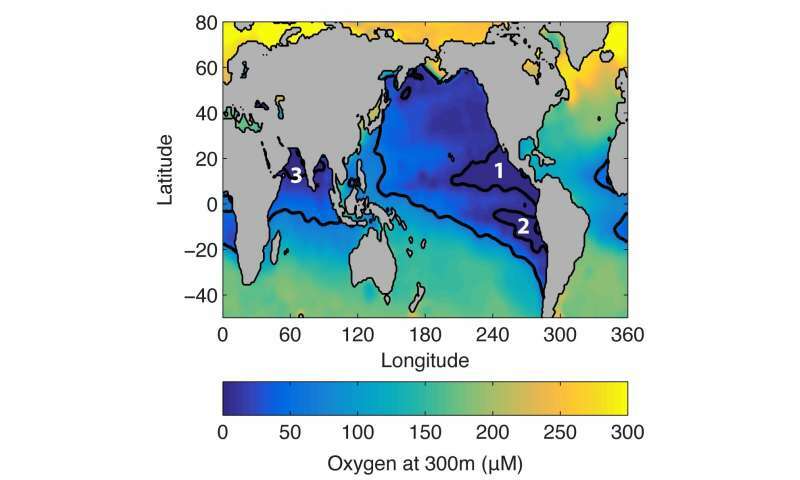 Researchers previously believed anaerobic microbes—small microorganisms and bacteria that do not need oxygen to respire—were only found in pockets of the ocean with exceptionally low oxygen levels; particularly, three regions known as "dead zones." Weber and Bianchi found that small "microenvironments" depleted of oxygen exist all over the deep ocean in organic-rich "marine snow"—particles of organic matter, such as dead plankton cells and zooplankton feces, stuck together. Microbes gain energy by eating the organic matter and using oxygen to respire. If the respiration is intense enough inside the particles, all the oxygen can run out and the microbes will switch to respire using compounds besides oxygen.